Are you looking for Ethiopia travel tips? 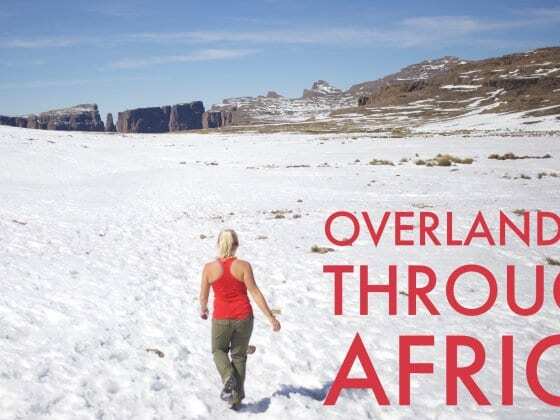 As part of our “Travel Tips” series we interviewed Marcello Arrambide who traveled throughout Ethiopia for roughly three months and lived there for two months. Marcello share’s with us his Ethiopia travel tips and knowledge on what to do in Ethiopia for those looking for the best places to see, eat, stay, drink, and explore. Ethiopia has a tremendous amount of history and culture and is one of the most ancient civilizations that we have today. It is one of the only places in the world that has a completely unique culture that isn’t similar to others. The costs of traveling to Ethiopia are extremely cheap, the food is delicious, crime is almost nonexistent, and if you like coffee why not go to the place that invented it? The Omo Valley is a very interesting cultural experience as they are one of the last parts of the world that haven’t been influenced by the western world. Ethiopia is the only place you can access Somaliland (Somalia), the real-life Camelot can be found in Gondar, the second Jerusalem in Lalibela, and the history of a powerful empire in the city Axum. Don’t forget the bustling an interesting capital, Addis Ababa, that can easily be called the capital of Africa. 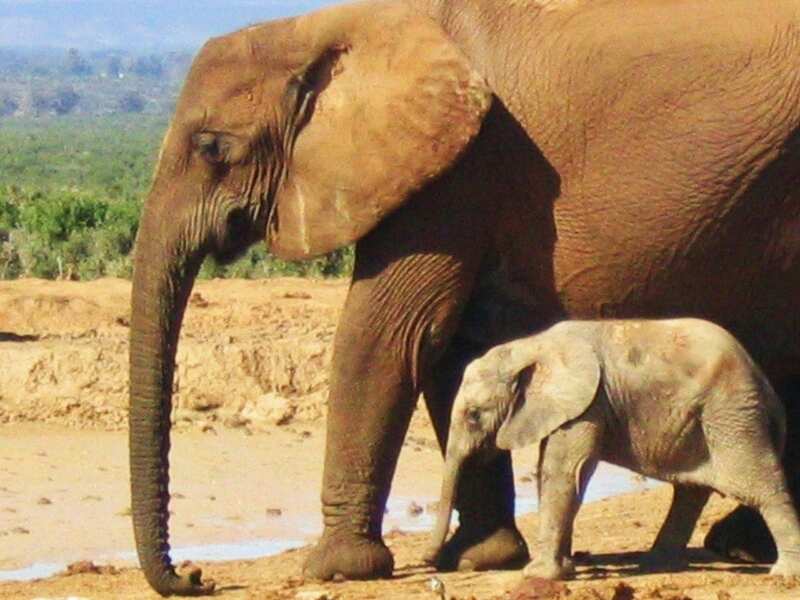 Once you head to the East you can visit the fourth most religious city for Muslims in Harar and feed hyenas. I tended to already stay away from restaurants and big hotel chains to eat and Ethiopia proved that right. The food is already extremely reasonable and the best places to eat in Ethiopia are in local restaurants. Anyone is going to serve you some of the best coffee you ever had and the prices many times will be under two or three dollars. There aren’t many street vendors in Ethiopia, the local restaurants are the way to go. 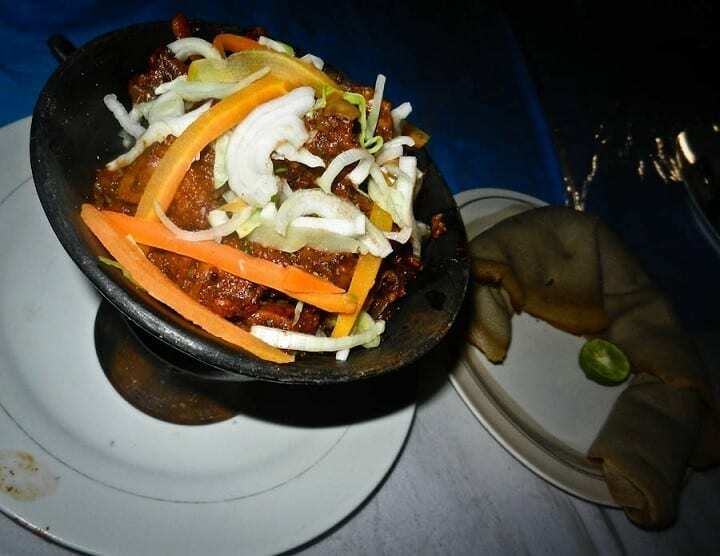 Food in Ethiopia is very unique, while they do have popular choices like many varieties of meat, the sponge like bread called Ingera is unique to their culture and country. Most Ethiopians eat with their hands and you typically pick up your food with the engineer of bread. You have to try the lamb or beef tibs. I kid you not when I tell you that I used to drink six or seven machiatos every day because the coffee was that good. There is a coffee ceremony that you should definitely experience which is very unique. You can find the coffee anywhere in the country including local cafés, hotels, restaurants, and corner stores. Accommodation in Ethiopia is very reasonable, even in the developed cities like Addis Ababa you’re going to pay anywhere between $7-$15 a night for a private room with a shared bathroom and up to $20 to $30 for a private room and bathroom. In Addis, I recommend Taitu Hotel which is very centrally located and you have all the services you need inside the compound. Addis Ababa is home to Merkato which is one of the largest markets in Africa and the largest open air market on the continent. To add to the interesting nature of the surrounding area, this is a Muslim neighborhood where you can find very interesting people and things to see. Timkat, Timkat, Timkat! This is where Ethiopians celebrate Epiphany and is one of the most colorful and best festivals to witness in the country. Timkat is celebrated on January 11th. Meskel, or finding of the true cross, is also a large celebration where we can see thousands of people celebrating, eating, singing, and an endless amount of flowers being thrown. I would also recommend that you check out the new year celebrations that are held on September 1 every year. Consider that Ethiopians have their own calendar (dates listed above are in a Western calendar). Traveling around the country is very cheap, if you’re going over long distances I would recommend that you fly. I bought two round-trip tickets to three different cities for only $210, the roads are atrocious between cities so it is best to fly since the prices are so cheap. Within city limits you can use local transport which depending on the city can be a combination of toyota vans, three wheeled tuk tuks, and even motorcycle taxis. The only thing that Ethiopia does not have is good Internet access, after the war with Eritrea their access to the coast was cut off along with its Internet access. The only place to find good Internet access is a large hotel chains. It does not have to be a brand name hotel like Hilton or Sheraton but make sure you find a big hotel and you will surely find Internet access. Most of the time you will be able to find it for free as well as long as you buy something, my favorite is six or seven machiatos. The best time overall to visit the country would be in the fall between September to December. You can avoid the rainy season in most parts of the country and the weather is also very temperate. When I was living in Addis Ababa, the days were warm, but not hot, and the evenings were very cool. The best way to get to Ethiopia would be to fly directly into the country. Flying between countries in Eastern Africa is tremendously expensive and considering the mountainous region that Ethiopia lies in it’s very hard to get information during countries. The only border that can be crossed by land is via Kenya and even that has seen significant problems. Fly into the capital Addis Ababa, Ethiopian Airlines is one of the best airlines in Africa. Many people don’t know that Ethiopia is the religious homeland for Rastafarians (mostly Jamaicans). The last King of Ethiopia is their God and there is a city just outside Addis Ababa which can be considered the Jamaican homeland. It’s a surreal experience to go to Africa and see all the Rastas around, definitely something you should check out. Ethiopia is also the gateway to Somaliland (Somalia) which most people find extremely dangerous, I love Somaliland and would highly recommend that you visit. 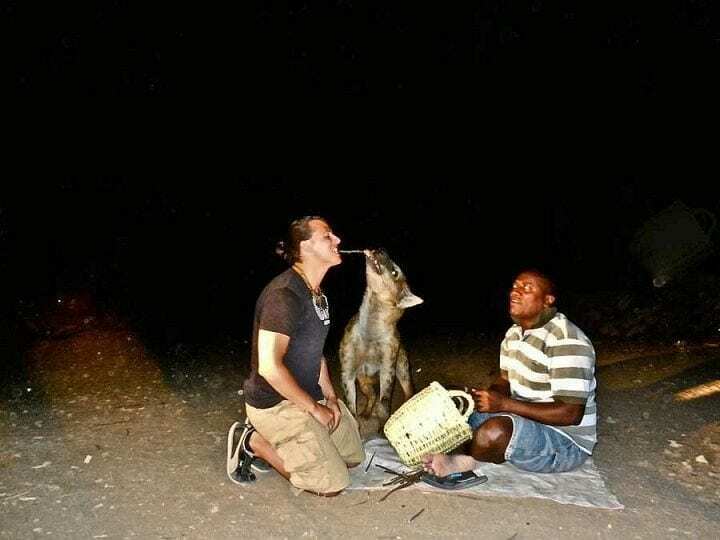 Why not kiss a Hyena?? Ethiopian culture resembles no other and being such an ancient civilization it’s extremely interesting and fascinating to get to know. Supposedly, their history descends directly King Solomon. It is extremely cheap, the people are friendly, open to new cultures and people, and the women are beautiful. BIO: Marcello Arrambide is a day trader that has been living overseas in 10 countries across 4 continents. You can find out more about Marcello on his travel blog WanderingTrader, on his Day Trading Academy site, as well as on Facebook and Twitter. 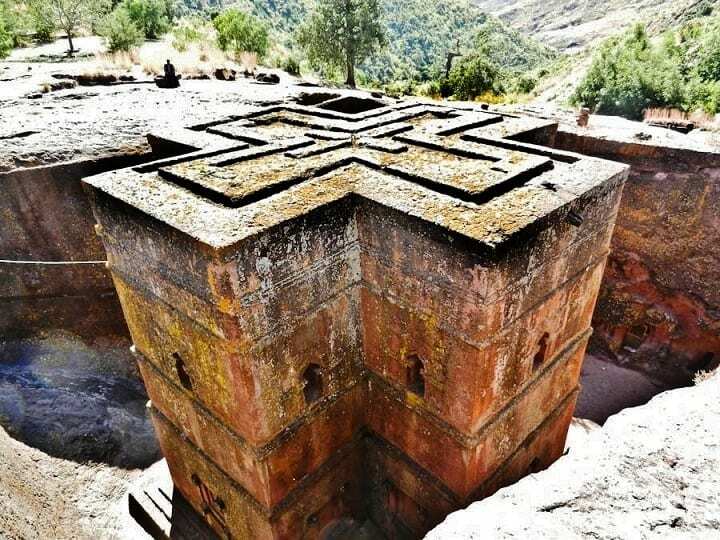 This is amazing – i never realized Ethiopia had such cool architecture. Great interview, Marcello! We’ve long been fascinated by Ethiopian history, music, cuisine and culture, so at some point we’re just gonna have to go there to experience it for ourselves. Thanks for the tips (but not for reminding me how long it’s been since I’ve had some good injera)! Correction: you can also cross by land through Djibouti. Thanks for writing about Ethiopia, a land that I also love! Those are churches carved out of stone and the real life camelot I have to tell you John is absolutely INCREDIBLE!!!! Ethiopia has long been a country that I’ve dreamed of visiting, mostly for its world class cuisine, but also for the fascinating history and incredible culture. Hoping to visit Ethiopia on my next trip to East Africa! Ethiopia is on my bucket list and I hope to get there whenever I finally make it to Africa, so I love the tips. The country sounds even better than I imagined. If the Ethiopian calendar is anything like the Hebrew calendar in Israel, the holidays etc are probably not on the same Latin/Western dates every year, right? Do you know where I can find an updated Ethiopian calendar in English? You are very welcome to visit the land where all it begins. We will give all necessary information you may need. I am a tour guide based in Mekele the second biggest city in Ethiopia and the I deal city to start the tour to the danakle desert and the volcano. I believe Ethiopia is more worth than what is being explained by some bloggers, They have not mentioned trust attractions like the wonderful Dakakle desert with colorful lakes salt mountains the salt lakes and the wonderful Active volcano and more. I can post you the Ethiopian calendar if you want, you can write me on [email protected] or you can get more information at our face book page group “inspiration Tour Northern Ethiopia. Ethiopia is a truly wonderful country. What else can I say. Nice overview! Marcello. Ethiopia has many histories that is so much interesting specially south is best place to visit. 1) How much spending should take in USD? Ethiopia is such a wonderful country gives amazing nature enjoy. 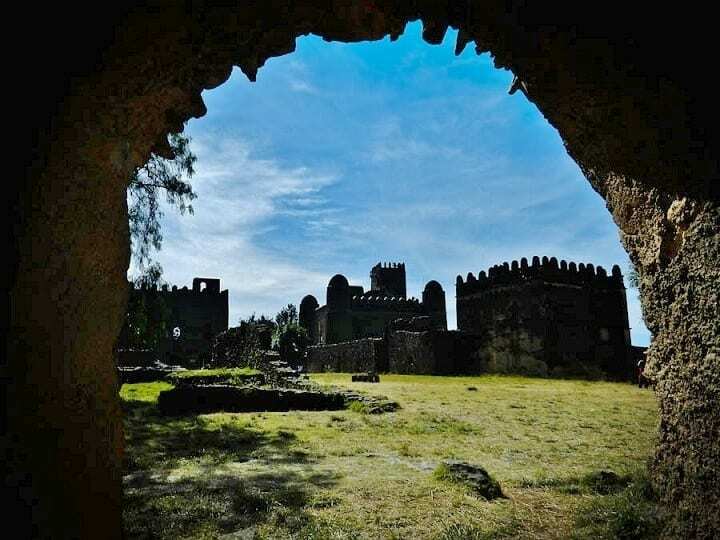 Historic places in Axum, Gonder, Bahir Dar in North Ethiopia brings you Ethiopian’s magnificent history, which encompasses legend and tradition, mystery and fact, from a powerful and religious ancient civilization. Ethiopia is a land of contrasts and diversity. 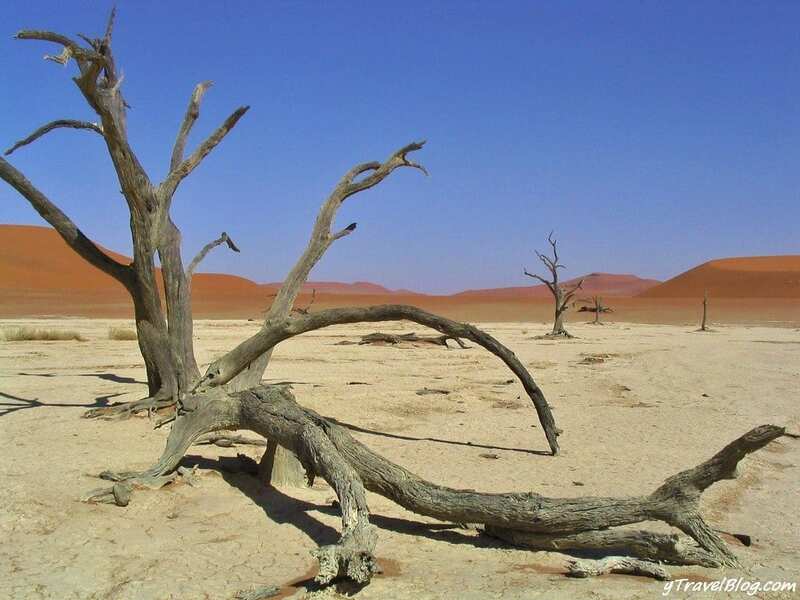 It is a land of remote and wild places which you might have ever visited in your life. The best tourist attractions in this place include. We have houses/apartments for rent in Addis Ababa according to your needs if you are staying here for at least a year. Please contact me at +251 938 59 40 60. I need ++++ to Lalibela, My nephew recommended to me trekking in Ethiopia is more than the given pleasure. My stay in the church was so nice and indeed Ethiopia is such a facicinating country. I started to trek the highlands around Lalibela with Dega Trekking with Ato Hailu ( donkey owner ), smart guide Abebe. I afraid when at the first but non if I was relaxed then with nature. Nature is here. The farmers treated me like of tired football player in Barclays, finally, my trekking was perfect. I recommend you because I wish everyone to had it..
Wow, as a Harari (Ethiopian from Harar), this article was totally up my street! The hyenas are a staple of Harar 🙂 Please post more! A must is hiking in the Simen Mountains, although the tribes were great also. We spent 30 days in Ethiopia and we can’t wait to be back.